As SanDiegoRadio and The San Diego County Fair have partnered up, and the fair is heavily involved with local radio stations, I just wanted to post a reminder on some important dates and events. The 2014 San Diego County Fair becomes The Fab Fair, kicking off this summer as a celebration of the 50th anniversary of the British Invasion, an era when musical acts and other aspects of British culture changed America. 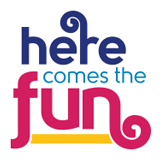 The dates of the fair are Saturday, June 7 through Sunday, July 6. The Big Bite Bacon Fest brings all of the best bacon foods to one location in celebration of the world's most beloved protein! 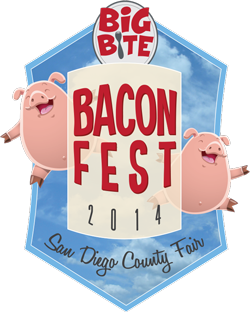 This fun-filled tasting event features creative bacon dishes from the best chefs and competitive cooks in San Diego and beyond. Indulge in unlimited bacon-y deliciousness ranging from appetizers to desserts and everything in between, and wash down that bacon goodness with samples of San Diego's top craft beer! And while this event is all about the bacon, the fair will have entertainment and games like Pig Pong, Pork Ladder Toss, Bacon Hole, and more! Attendees can pig out in hog heaven at this event that will showcase America's love for bacon, and will undoubtedly be a treat for everyone in the family.